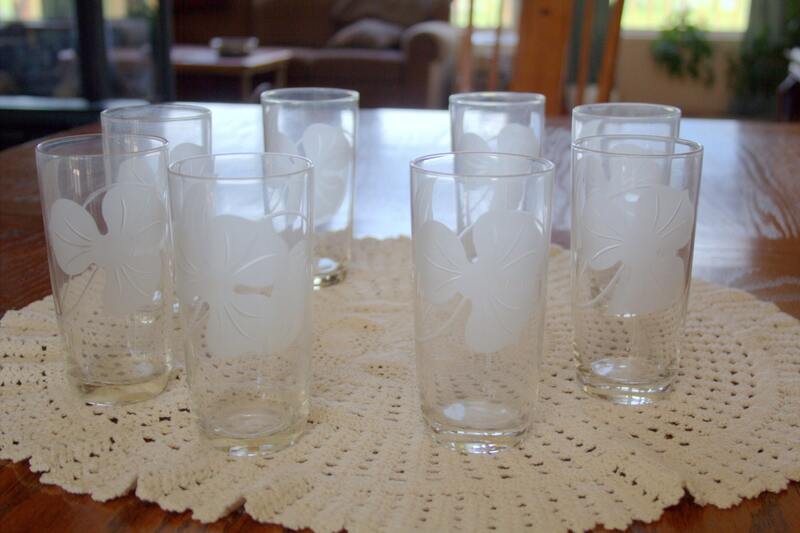 This set of 8 tumblers are vintage glass. 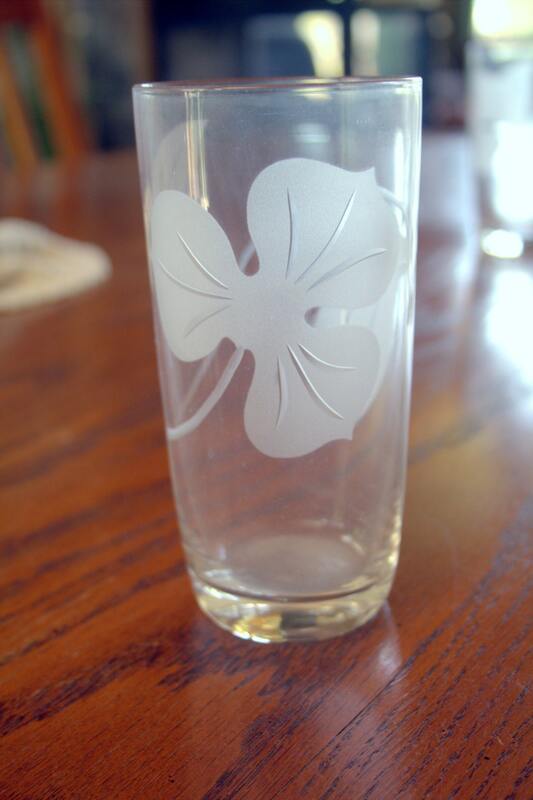 They have a soft white floral pattern etched into a clear glass tumbler. They have been gently used in the past and been kept in a hutch since the 60's. The tumblers are in mint condition with no chips, crazes or cracks. There is no manufacturer mark on them. The tumblers are 5 1/2" tall by 2 3/4 " wide and hold @ 10 ounces. They are thin walled and weighted on the bottom and would be a beautiful addition to any table. Due to the delicate nature of these tumblers, I pack with great care to get them to their destination. Sorry, I do not do refunds or returns on vintage items. Price listed does not include shipping and this will be determined according to your location. Please contact me for those prices before you decide to purchase. Shipping times vary according to your area and usually takes from 3 days to 2 weeks. Items ship from Kalispell, Montana 59901.